Please start cutting, Dr. Franklin. Please start cutting Dr. Franklin. Comma placement can radically alter the meaning of a sentence. But many of us struggle to know where exactly to put them. How do you decide? Do you treat commas like salt, sprinkling them over your writing according to your personal taste? Have you a vague sense that, like too much salt, too many commas are bad for you? Or are you an adherent of the ‘breathing’ rule, inserting commas wherever a reader might need an O2 break? Have you ever wondered why those editing your work have removed one comma but not another? The purpose of a comma is to separate clauses within a sentence, phrases within a clause or words within a phrase, in order to succinctly and unambiguously express meaning. Seems straightforward, right? Wrong. The comma is arguably the most misunderstood of punctuation tools. Ask someone about comma rules and even those who begin with confidence are likely to trail off apologetically. This is because comma use is not fully explained by rules; it depends in part on taste. But, as David Crystal insists in his history of punctuation, variation in comma use is neither infinite nor totally idiosyncratic . It turns out that there are two broad schools of punctuation, and understanding them can help us to unravel the complexities of comma use. In the elocutional school, with its origins in antiquity, commas indicate intonation and pauses in oral speech. In the grammatical school, which arose with the advent of the printing press, commas express grammatical relations among parts of the sentence. What’s tricky is that both approaches are still alive and well, so that most of us have been trained, explicitly or implicitly, to use a bit of both in our writing. Getting control of your commas requires distinguishing between rules and preferences, which map closely onto the grammatical and elocutional schools of comma use. The aim of this Writer’s Craft section is to help you ascertain when commas are prohibited, when they are necessary, and when they are unnecessary but acceptable as a matter of preference. This list is not exhaustive, nor is it in any particular order of priority. Based on my experience reviewing and mentoring scholarly writing in medical education, these are among the most common comma errors in our community. When the subject and its verb are side by side, never separate them with a comma. Incorrect: Fourth-year medical students and first-year residents, participated in the study. Correct: Fourth-year medical students and first-year residents participated in the study. If you are inclined to place a comma between your subject and verb, this usually signals that your subject is too long and the sentence should be reworked to shorten it. Inserting an elocutionary comma in this case—a comma that creates a pause so the reader can absorb the long subject and note the coming verb—is incorrect. Incorrect: The factors influencing residents’ decisions about formal research training are, debt, role models, program culture and personal ambition. Correct: The factors influencing residents’ decisions about formal research training are debt, role models, program culture and personal ambition. Commas are not used on their own to join independent sentences. Incorrect: I came to medical school, I saw all the work I had to do, incredibly I conquered it. Correct: I came to medical school. I saw all the work I had to do. Incredibly, I conquered it. In a compound sentence, a comma is necessary before the conjunction that joins the two independent clauses. Incorrect: The faculty agreed to participate in the new assessment scheme but they were not enthusiastic about its chances of success. Correct: The faculty agreed to participate in the new assessment scheme, but they were not enthusiastic about its chances of success. Incorrect: The faculty agreed to participate in the new assessment, however they were not enthusiastic about its chances of success. Incorrect: The faculty agreed to participate in the new assessment, however, they were not enthusiastic about its chances of success. Correct: The faculty agreed to participate in the new assessment; however, they were not enthusiastic about its chances of success. 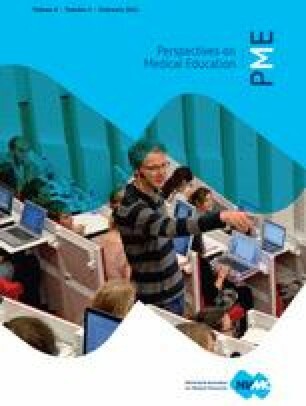 Incorrect: Although the new electronic patient record is not believed to influence medical teaching there has been no systematic study of its educational effects. Correct: Although the new electronic patient record is not believed to influence medical teaching, there has been no systematic study of its educational effects. Correct: There has been no systematic study of the new electronic patient record’s educational effects, although it is not believed to influence medical teaching. With relative clauses, a comma signals that the detail is parenthetical, while no comma indicates that the detail is necessary to the meaning of the sentence. Parenthetical: The faculty, who had been carefully trained, were expert clinical teachers. Necessary: The faculty who had been carefully trained were expert clinical teachers. In this qualitative research study, the focus was residents’ experiences of workplace-based assessment. In this qualitative research study the focus was residents’ experiences of workplace-based assessment. In this qualitative research study conducted by Sinclair et al during the shift to competency-based medical education in Canada, the focus was residents’ experience of workplace-based assessment. The last, longer wind-up is much easier to read with an elocutionary comma separating it from the main clause, and some would argue that this comma is grammatically obligatory. Crystal offers, as a general rule, that phrases longer than 7 words are more likely to take a comma in such cases . The committees requiring new members include occupational safety, finance, promotion and tenure, and strategic planning. Newspaper articles rarely use this comma; academic writing often does, but it varies by publishing press. When in doubt, check the usage for the journal you are writing for. Before embracing subjectivity, increasingly recognized as a key dimension of rater cognition, the medical education community needs to consider how subjectivity and objectivity interact and, even more critically, how current assessment instruments are structured to prompt, or inhibit, particular rater responses. Subjectivity is increasingly recognized as a key dimension of rater cognition. Before the medical education community embraces subjectivity, however, it should consider how subjectivity and objectivity interact. Even more critically, it should consider how current assessment instruments prompt or inhibit particular rater responses. In summary, comma use baffles many writers. If you know the basic comma rules and the logic that governs comma preferences, you can better decide when a comma is prohibited, necessary, or a matter of personal taste. Consistency in these decisions is critical to ensuring clarity in your writing.